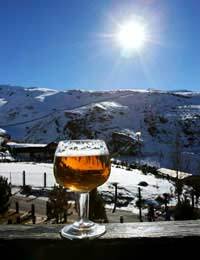 If you’re going on a skiing holiday, or you’ve been on one before, you’ll be aware of the buzz that surrounds the Après-ski culture. The whole Après ski buzz tends to be fuelled by the adrenaline of the ski and snowboarding runs, and so the nightlife can be very lively, depending on where you go. If the nightlife is an important part of your holiday, you should do some research before you go so that you don’t end up disappointed. If a quieter scene appeals to you, don’t worry; just find a more laid back resort where you can head off for a relaxing drink or two to unwind, as you’ll be more than catered for too. There will be plenty of parties and a varied social scene in the busier resorts, so rule number one is to pace yourself. Go out while you’re still relatively energetic, straight from the slopes and don’t go home and go for dinner before you hit the clubs. That way you’ll get into the spirit of things a lot faster and you’ll stay fresher for the next day’s snow sports activities on the slopes. You can’t ski with a hangover, and you have to think of safety too. Start easy with the drinks. If you come off of the slopes with a raging thirst, stick to a weak beer or even a shandy to quench your thirst. Don’t dive straight into a cocktail that you’ll drink in a few gulps and end up getting drunk really quickly. Check punches and mulled wines – they can be very potent. If you’re looking for a bar that’s a little less raucous, look for a relaxed hotel bar. Four-star hotels are a good bet – anymore up market and they can be a little uptight but you should get a nice laid back atmosphere in a four star and be able to have a drink in a reasonably nice lounge. Not all skiing holidays put the same amount of emphasis on the whole après-ski experience, so if your night time entertainment is as important a part of the package as the daytime sport, you should be careful about where you choose to stay. One of the most popular areas for après-ski is Austria – and some people consider it to be the best. Saalbach-Hinterglemm has a great reputation for its night life, and some of the other Austrian resorts known for their hospitality off slope are St Anton, Solden and Mayrhofen. Italy is a fashionable country, which provides some amazing scenery and snob value, but the nightlife can be a little tame and it’s said to be better at the weekend. French ski resorts are known for being relaxed and because a lot of them are also purpose built you get 'villages' with not that many people in them. Larger resorts like Chamonix or Val d'lsère might be more lively. Of course, if you only want to go for the skiing, and après-ski doesn’t interest you at all, your best bet is to opt for the safety of a resort advertised as being family friendly.